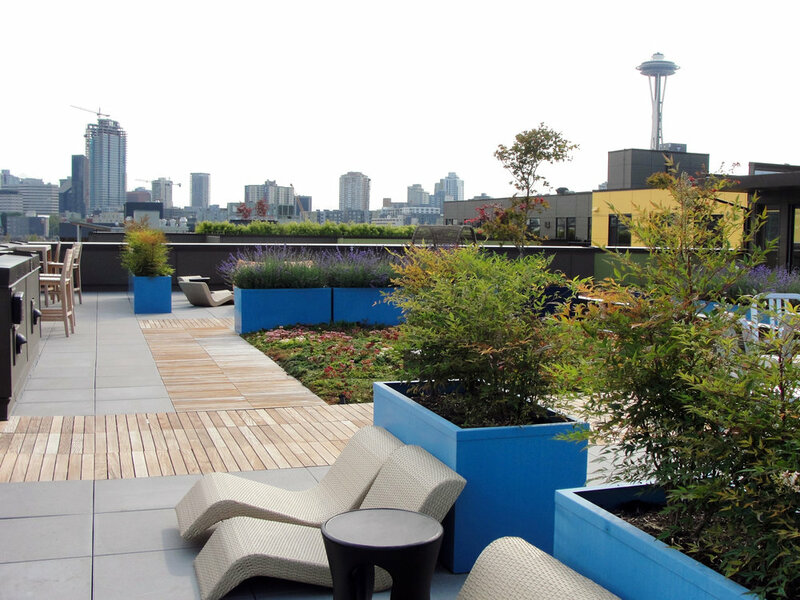 Extensive roofdeck amenities on multiple levels are a highlight of True North, featuring a covered area with outdoor pizza oven and BBQ, a double-sided fireplace with lounge seating, various private and semi-private seating areas created by greenroof and raised planters, tenant gardening planters, and a Pet Park. 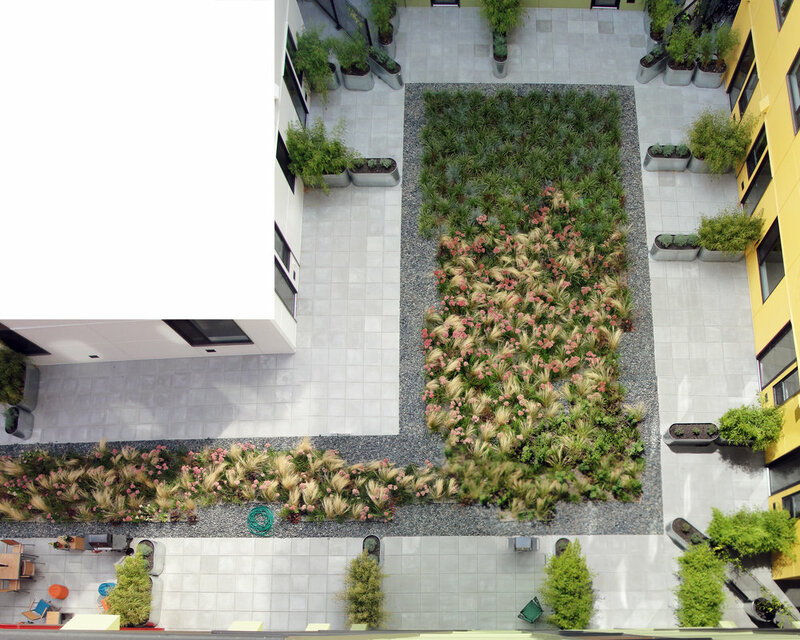 A "meadow" of greenroof grasses on a courtyard level creates an open feeling while defining private terrace spaces. Curved corten and concrete planters with a water feature at the main entry at ground level draw in pedestrians. True North earned a LEED Silver rating.